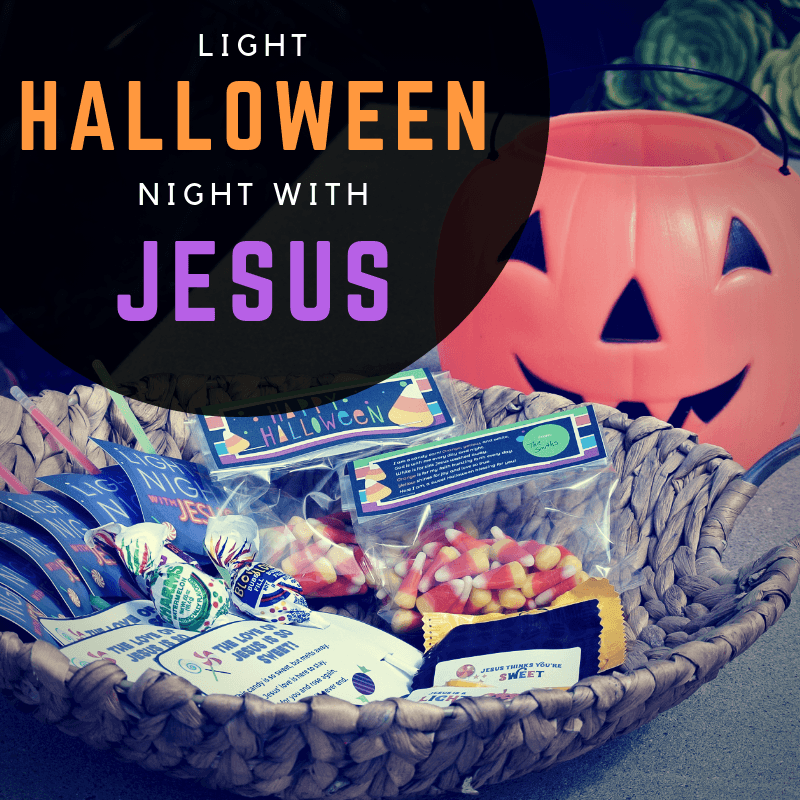 Light the Night with Jesus this Halloween! 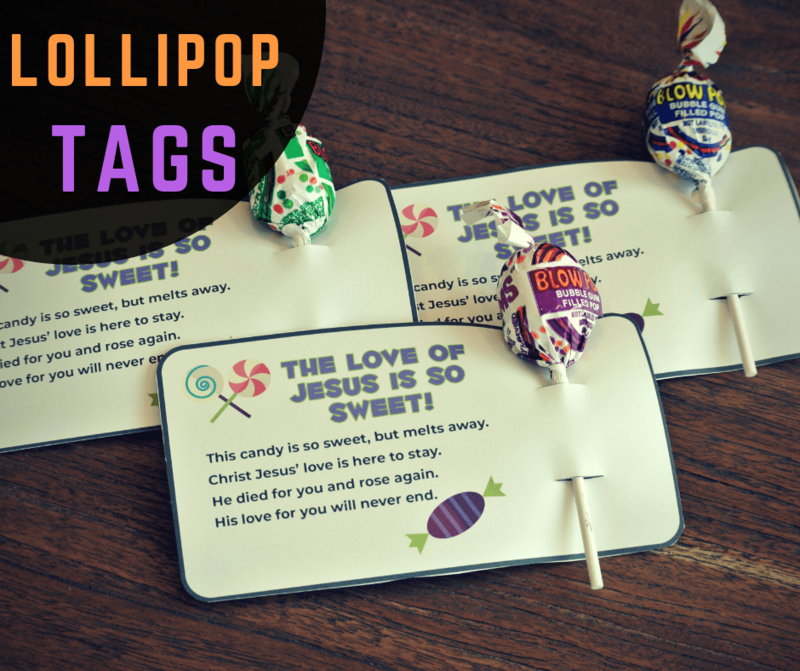 Our Printable Christ-Centered Halloween Treat Tags are a fun and unique way to celebrate God's Love with kids on Halloween night, during church "Trunk of Treats", at harvest parties, at Sunday School in October, etc. You can print out the treat tags on your home computer! We have create four festive Halloween treat tag options to pick and choose between. All four templates are provided in full color AND black/white (for kids to color in) options. Church use Idea: Pick a Christ-Centered Halloween Treat and make enough for the kids in your church or Sunday School class. 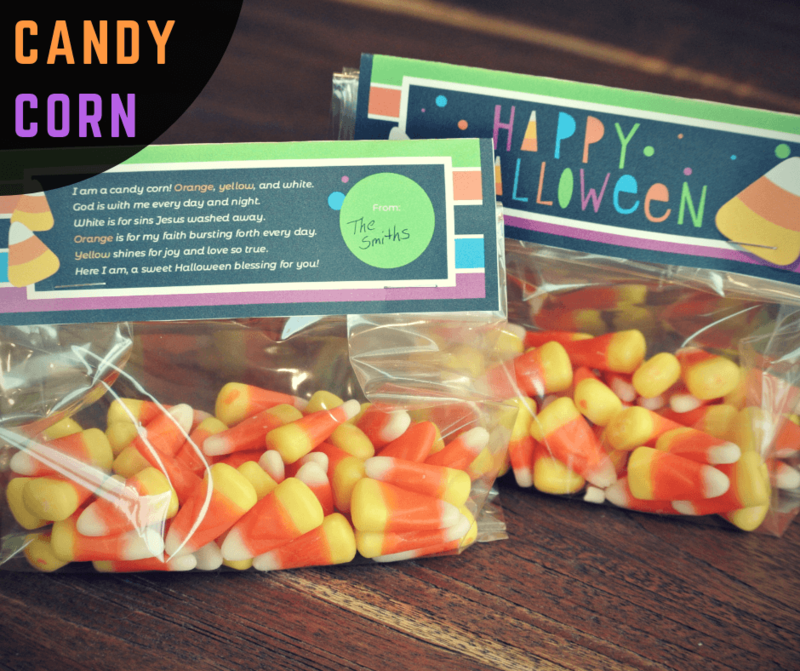 Home use Idea: Have your kids help assemble the Halloween treats so they can share Jesus with trick or treaters! Glow sticks are a wonderful candy-free treat for kids! 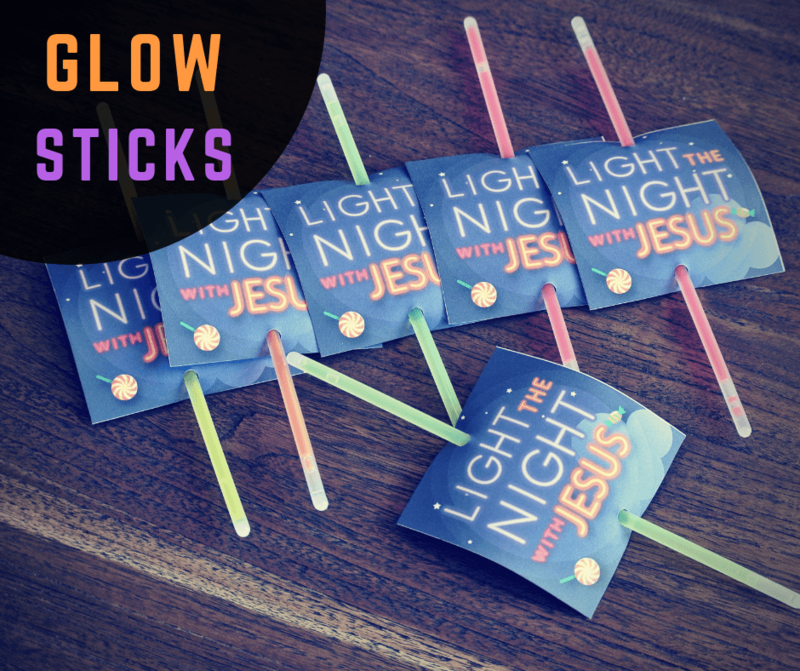 And by combining glow sticks with our "Light the Night with Jesus" printable- you will have a perfect Halloween & Harvest message that is sure to draw big smiles! This candy is so sweet, but melts away. Christ Jesus' love is here to stay. He died for you and rose again. These little stickers can go an just about any candy or small toy! Even preschoolers can help peel and stick! 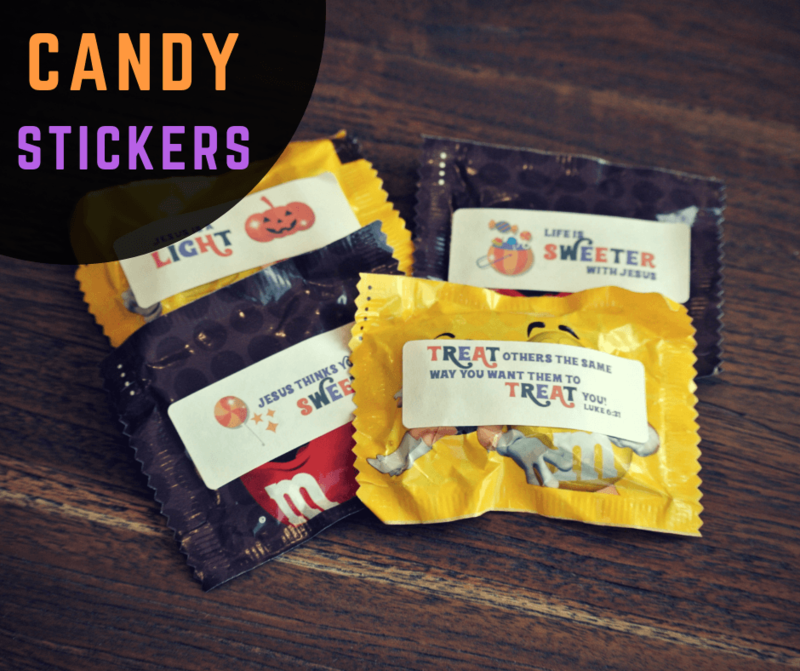 You can print these directly onto printable envelope labels (Avery 5160) or you can print onto regular paper and cut them out and tape onto the candy. I am a candy corn! Orange, yellow, and white. God is with me every day and night. White is for sins Jesus washed away. Orange is for my faith bursting forth every day. Yellow shines for joy ad love so true. Here I am, a sweet Halloween blessing for you! 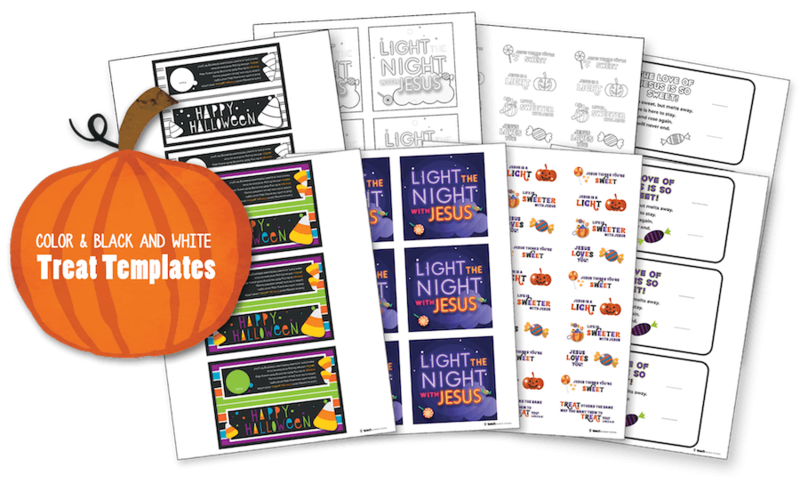 In addition to the Printable Halloween Treat Tags, you will be given the current edition of our KidMin Power Pack as our bonus gift (valued at $19.99)! 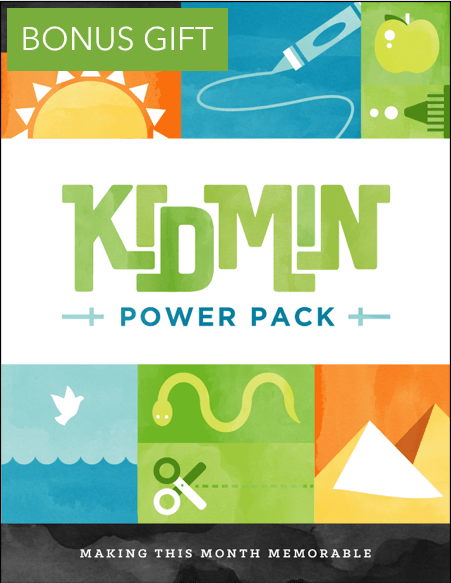 Our KidMin Power Pack includes 61 pages of ideas to cover you for the ENTIRE month. All the ideas and activities can easily be adapted for big groups, small groups, young kids, older kids, and mixed ages. And just like all of our materials, each activity is 100% Bible-based. If at any time, you decide you would like to stop receiving the Power Pack, just send us an email and we will cancel your subscription immediately with no questions asked. As always, you have 60 days to "test-drive" all of the material, and if you're not totally blown away with the material you can get a complete refund and STILL keep everything for free! YES, I want in! I want access to the Printable Christ-Centered Halloween Treat Tags that I can use over and over again. Please give me INSTANT access right now!